Support the educational, quality improvement, and outreach activities of the HRPP. The IPC is not an IRB and is not authorized to review human subjects research or to override determinations made by any of the university’s Institutional Review Boards. The voting members of the IPC are the Chairs and Vice Chairs of the university’s three IRBs, three at-large faculty members, and the ORRP Director. 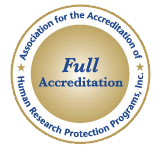 Representatives from the Office of Research, Office of Responsible Research Practices, Office of Research Compliance, and Office of Sponsored Programs also participate as non-voting advisory members. The IPC is administratively supported by ORRP staff. Faculty, staff, and students are encouraged to consult The Ohio State University HRPP policies for the most current policies when planning and conducting research involving human subjects and to contact ORRP for assistance with regulatory or procedural questions. Suggestions for HRPP policy or IRB or ORRP operations can be forwarded to the IRB Chairs or Vice Chairs or to the IRB Policy Committee mailbox at IRBPolicy@osu.edu.